"The practice of meditation brings renovation of the self and transformation of the personality. This discipline helps us to discover the real causes of our difficulties, to find their roots in the depths of the subconscious mind. It removes stress, anxiety and fear and acts for the destruction of the primal cause of all our sufferings. Meditaion develops the efficacy in work, the true intelligence (or the higher intelligence), concentration, the proper estimation of the self or in short, the courage to be." 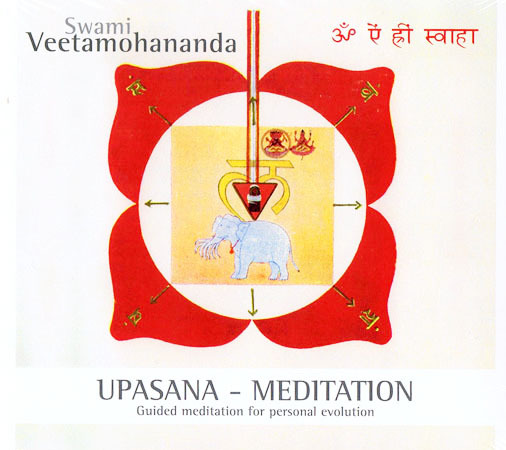 Swami Veetamohananda is a monk of the Ramakrishna Order, India. He is trained in the very strict disciplines of different yogas - karma, bhakti, raja and jnana, in sanskrit, in singing and classical Indian music. He is the minister of Centre Vedantique Ramakrishna, France, since 1994 and has established good relations between the Orient and Occident in the field of spirituality, being a member of the "Interreligious Monastic Dialogue" where he participates regularly in different programs for peace and harmony. He is invited very often in different European countries, as also in other places in the world for his lectures on "Yoga in everyday life" and his sessions of guided meditation and chanting.